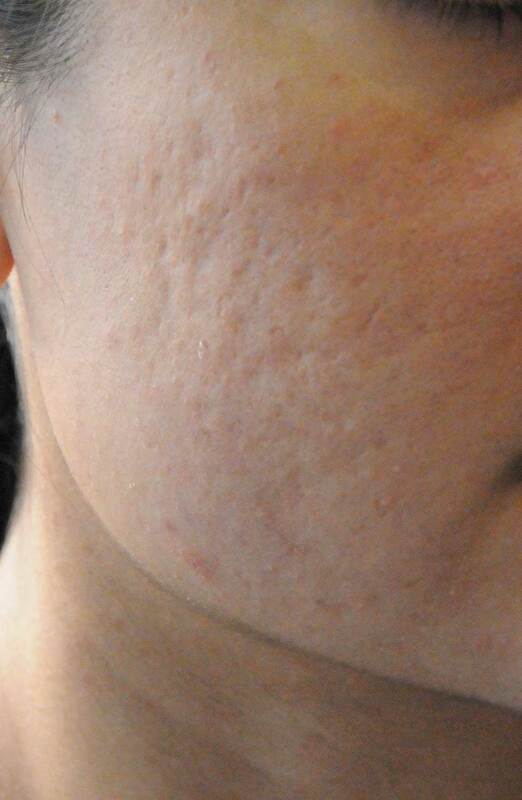 The Acne Scar Vitalizer is our Unique Approach to Acne Scarring that treats all types of Acne Scars (ice pick, box car, rolling, elevated, discolored scars) through at 5-7 step process that is done in about 2 hours By Sir Harold Delf Gillies Award Winning Beauty Author & Seattle Surgeon Dr. Philip Young. Warning, some of the following photos are graphic in nature. 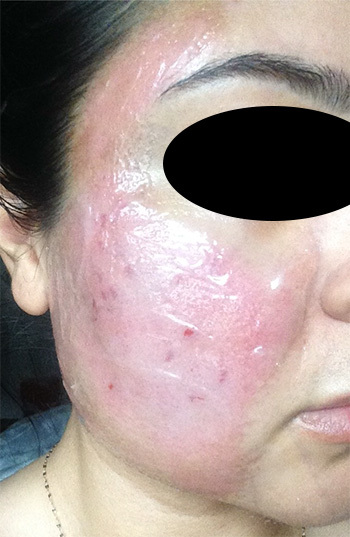 For the pictures above: This is post procedure day 2 after the Acne Scar Vitalizer Treatment Procedure. 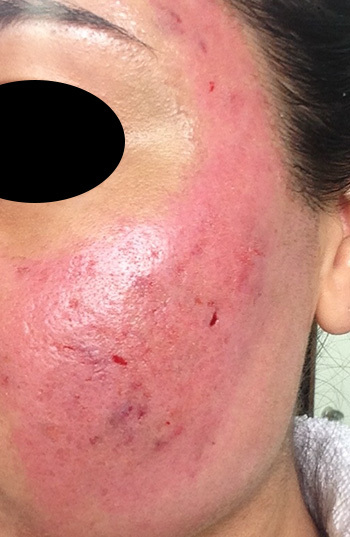 For the pictures above: This is post procedure day 3 after the Acne Scar Vitalizer Treatment Procedure. 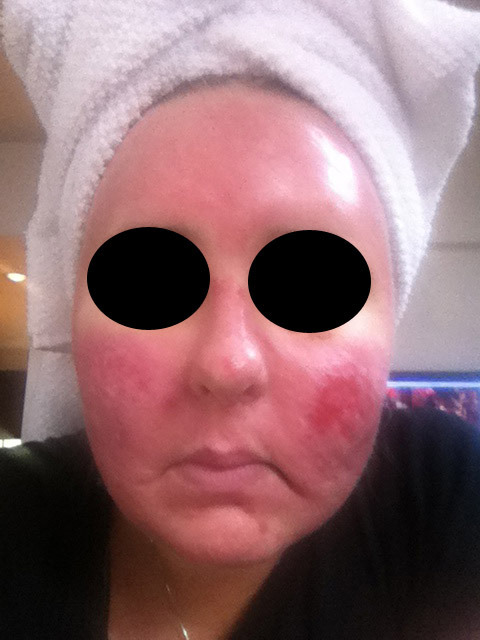 For the pictures above: This is post procedure day 4 after the Acne Scar Vitalizer Treatment Procedure. 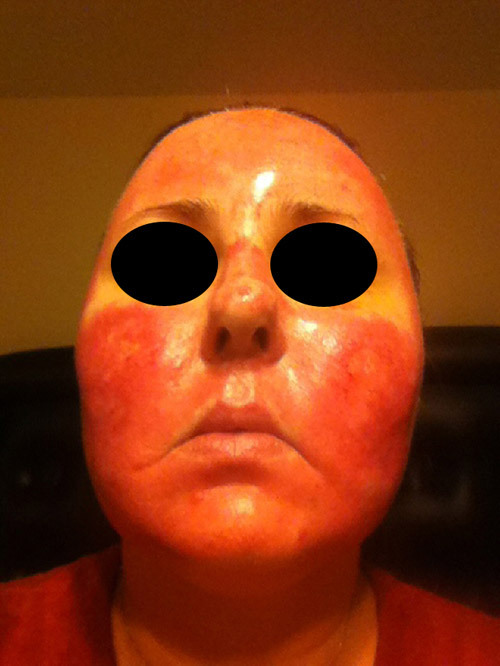 For the pictures above: This is post procedure day 5 after the Acne Scar Vitalizer Treatment Procedure. 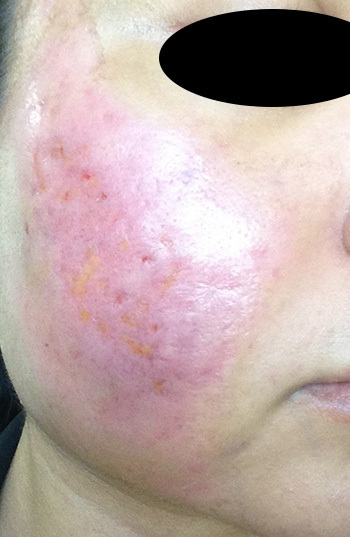 For the pictures above: This is post procedure day 7 after the Acne Scar Vitalizer Treatment Procedure. 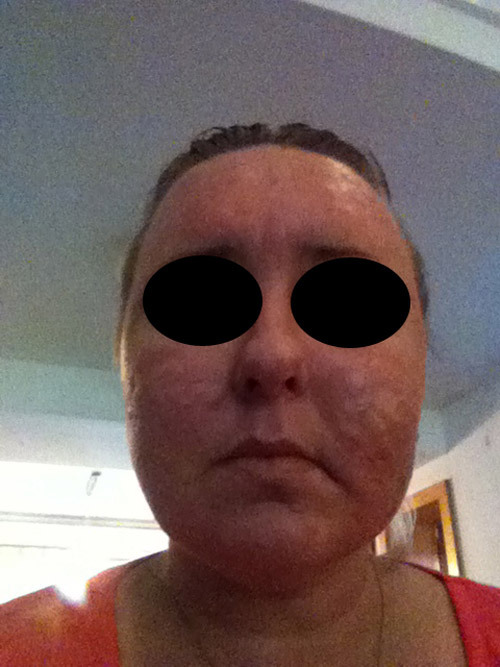 For the pictures above: This is post procedure day 9 after the Acne Scar Vitalizer Treatment Procedure. 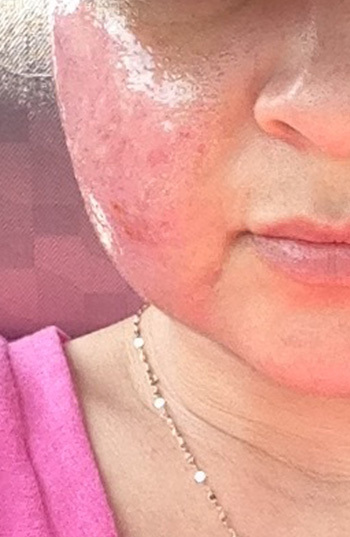 What you can see in the picture are some rolling, depressed scars. 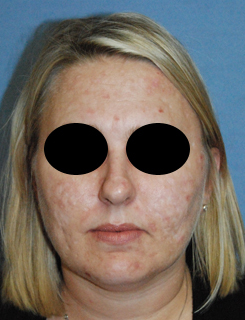 Her skin has some areas that have lost some pigmentation and she looks like she has a few active acne pimples occurring. 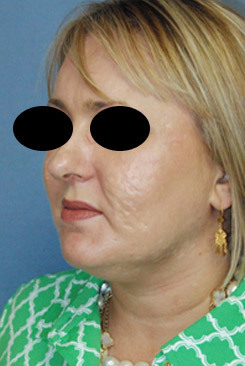 Most of her scars are concentrated in the cheeks, temples and forehead areas. Some of the pictures that are to follow were taken with less definition and are not as clear. 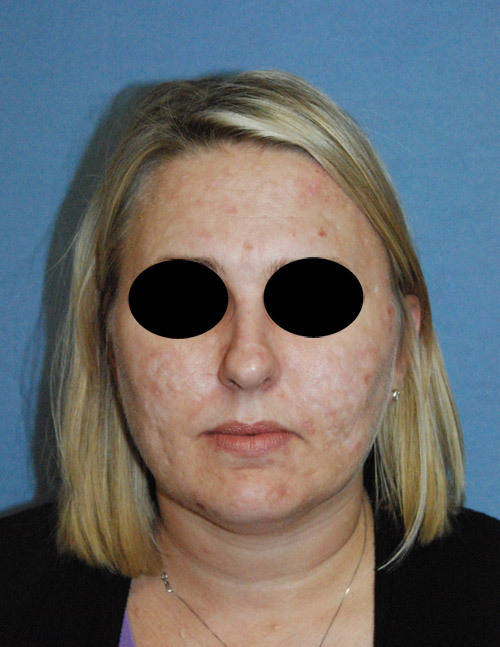 This patient was from out of town and could not take pictures with a high definition camera. 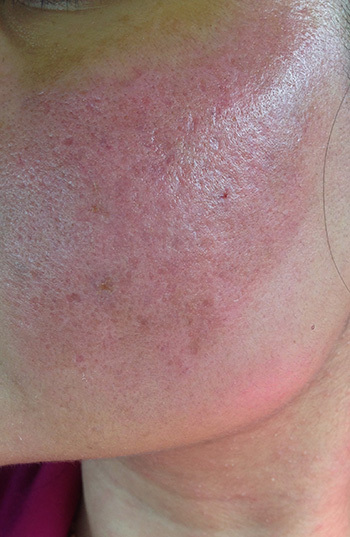 Day Two Acne Scar Vitalizer Treatment: The picture above is 2 days after the Acne Scar Vitalizer Treatment. 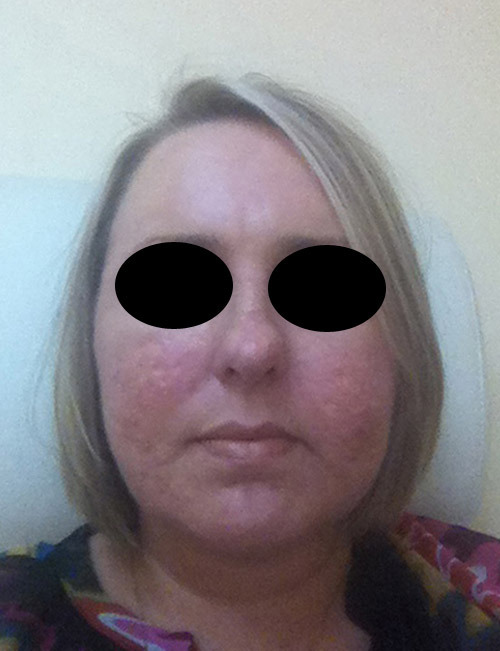 She was worried about the swelling in her eyes “…Is this normal to have my eyes so swollen. They are almost swollen shut. The crusting is getting worse to. I can’t seem to get it off good enough. 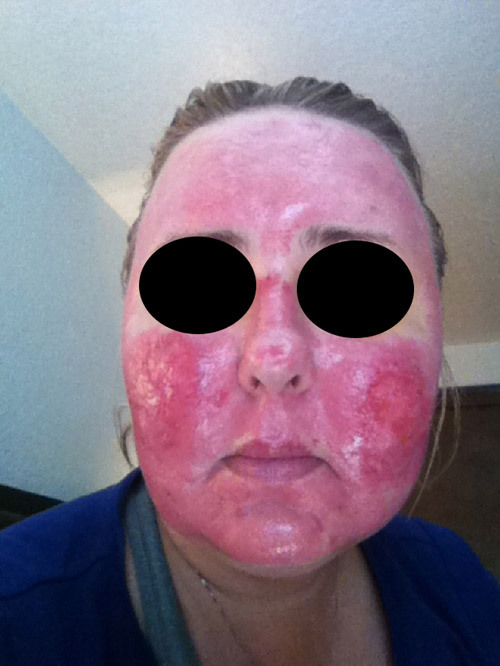 ” At this point, I told her that it is really common to have swelling and sometimes your eyes can get swollen shut. 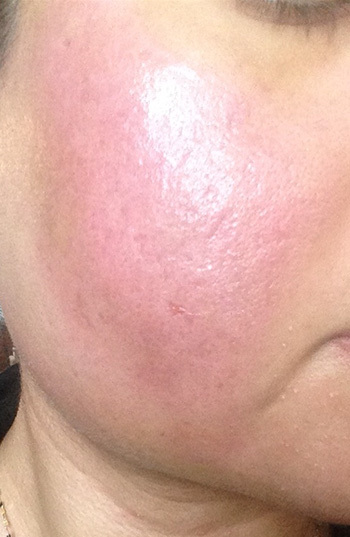 The swelling is worse the first 2-3 days after the procedure. 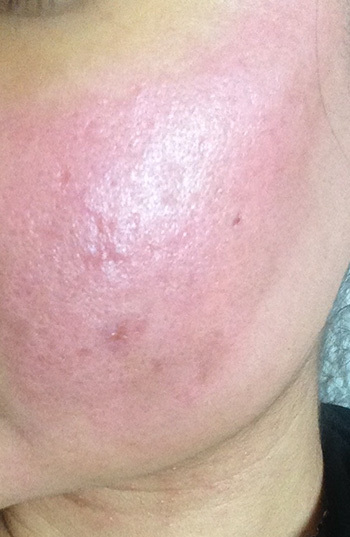 Whereas the first day, the swelling is not really that bad. 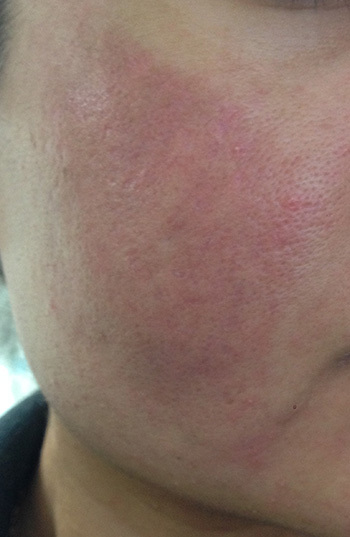 Oral steroids can help with the swelling but it could interfere with the Acne Scar Vitalizer Treatment Process. So we tell people to wait it out. For the crusting, you really need to clean it every 1-3 hours. Sometimes, it helps to use cotton balls soaked in the vinegar water solution (1 teaspoon of vinegar in a quart of water). 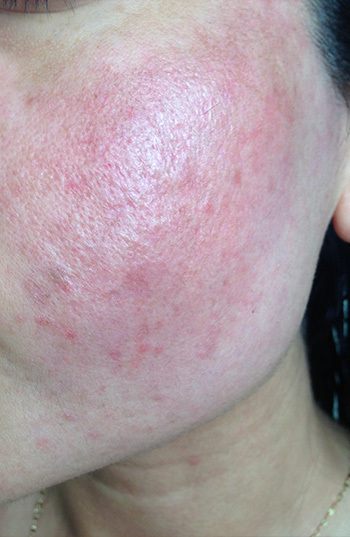 You can find out more about cleaning for the Acne Scar Vitalizer Treatment here which is under our cO2 Laser Resurfacing page. 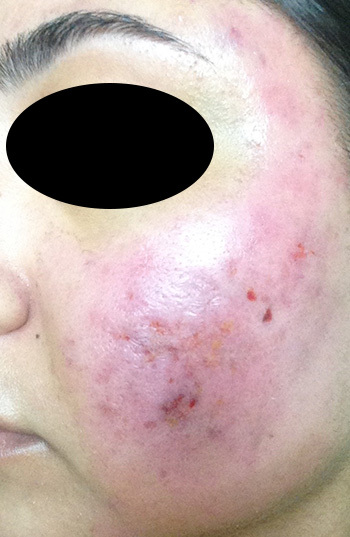 The above picture is Day 6 after the Acne Scar Vitalizer Treatment. The crusting appears to have improved. It is also healing well. 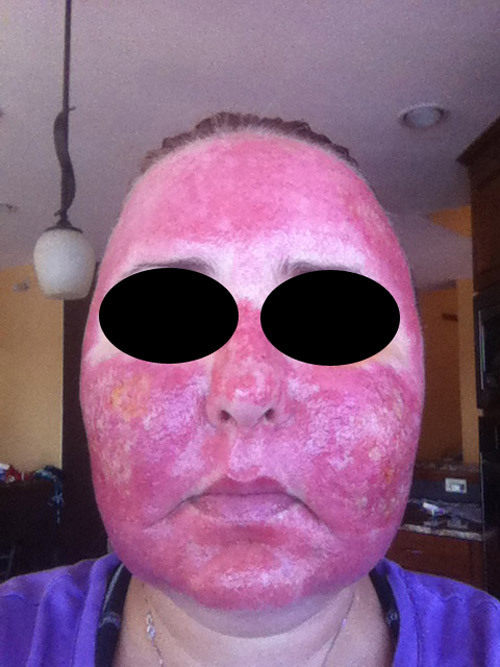 The facial skin is pink and this will get better over time. 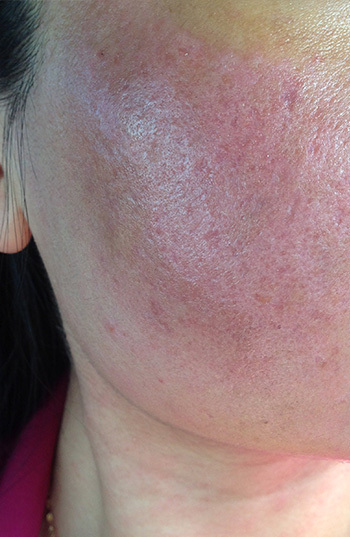 The above picture is Day 7 after the Acne Scar Vitalizer Treatment. This is a clearer view of much of the same as day 6. 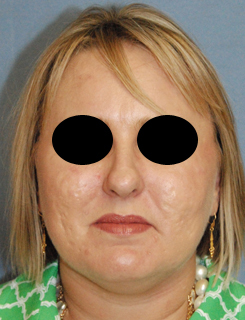 The cheeks are the areas that are taking a little longer to heal. This is the area that we were more aggressive with and so we expected the prolonged healing in this area. 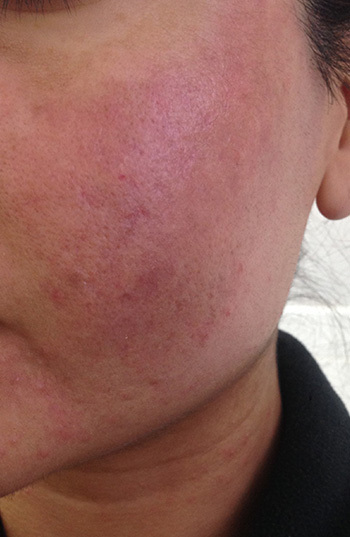 The above picture is Day 8 after the Acne Scar Vitalizer Treatment. She is a little less pink and her scars are looking better. The concentration now is on the left cheek. The other parts of her face don’t need any more vaseline just the raw area of the left cheek and continual cleaning of the left cheek. 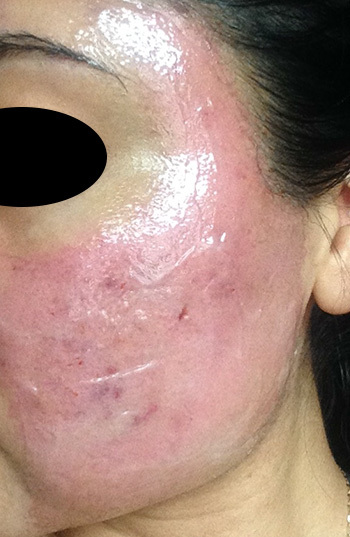 The above picture is Day 9 after the Acne Scar Vitalizer Treatment. 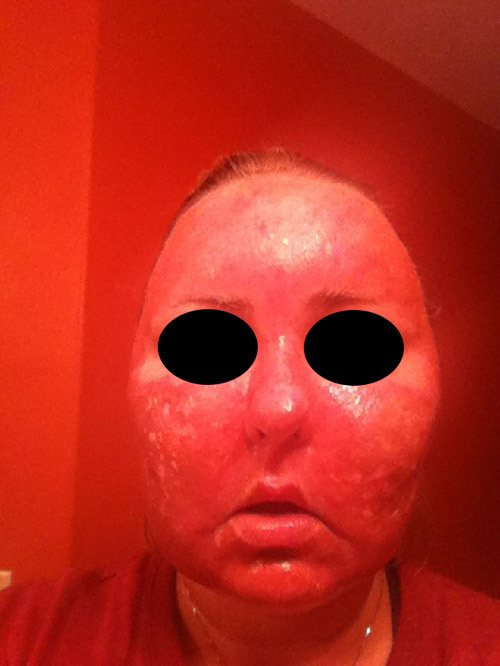 Here is a clearer picture of her healing with a more high definition camera to show the healing better. 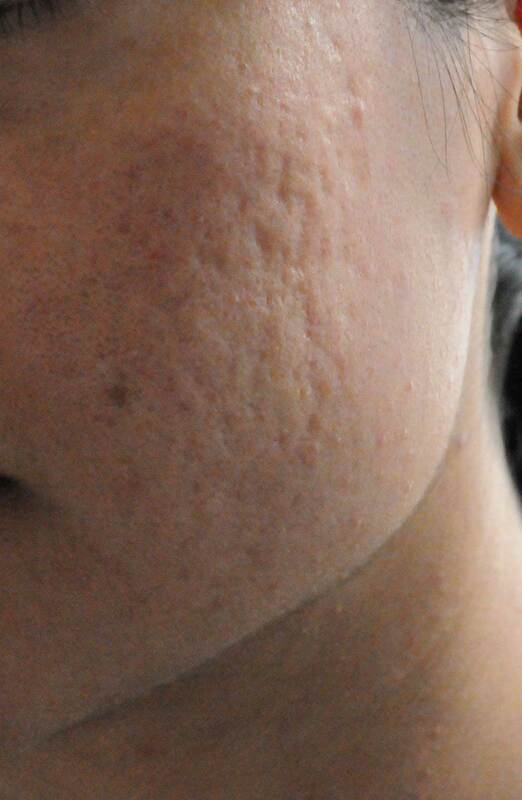 Again the left cheek is the area that is need of more cleaning and vaseline. 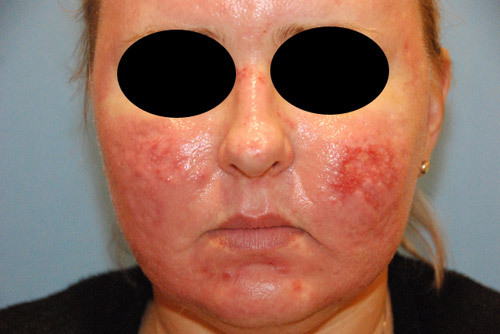 Sometimes patient clean too much in these later stages and this can actually hinder the healing. Sometimes trying to slow down on the healing can help speed things up. At this later stage, I often find that if healing is slower than usual we back off on the cleaning and find that the raw area heals faster. 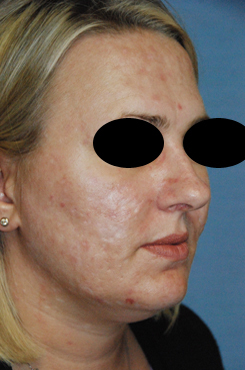 The above picture is Day 15 after the Acne Scar Vitalizer Treatment. 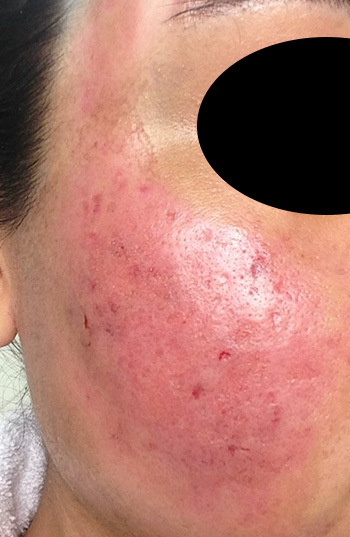 The patient is in another country and this is her healing 15 days after the Acne Scar Vitalizer Treatment. 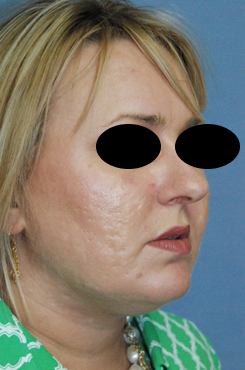 The raw area on the left side of the cheek is healed over. 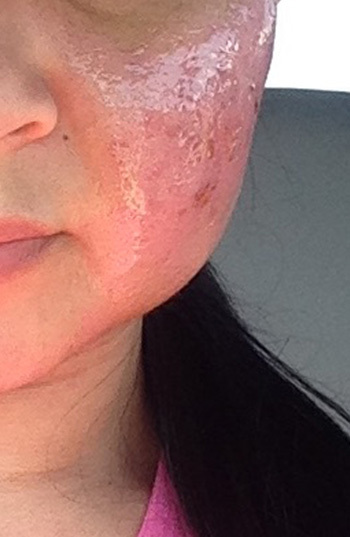 We will add more pictures in the future for you to see clearer pictures of her healing and how her scars have improved. 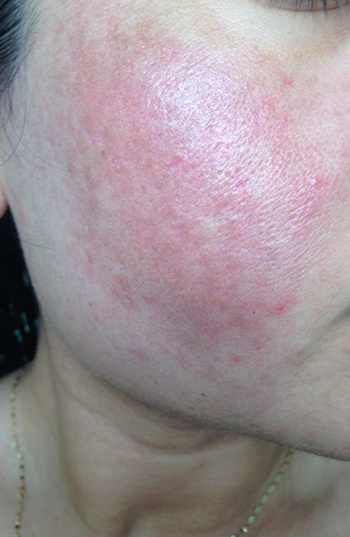 The above picture is Day 37 after the Acne Scar Vitalizer Treatment. 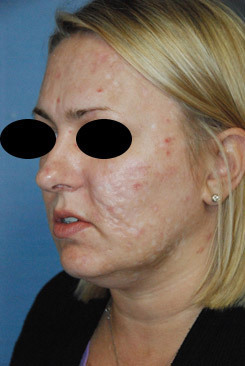 This is her result after 37 days. She is all healed and her scars are looking great. She will keep getting better over time. We will add more photos as we get them for you to see her healing. The before photos are above for you to compare.